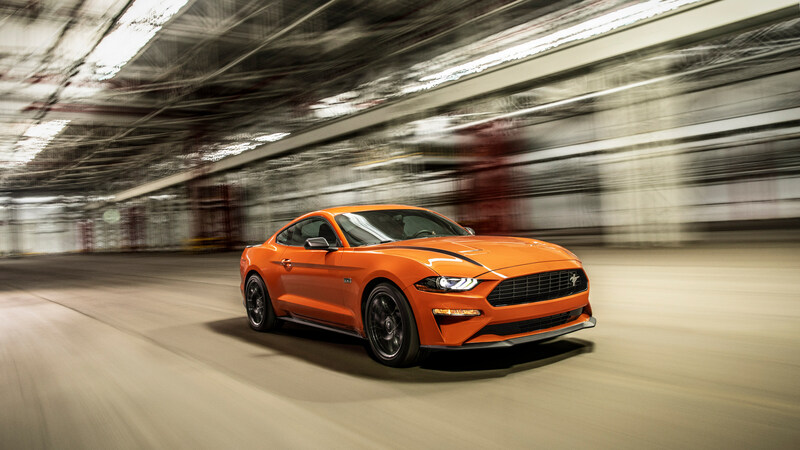 Ford has just announced the Mustang for drivers who want more turning and whoa-ing, but are happy with the go-ing and the fuel economy of the 2.3L Ecoboost engine. 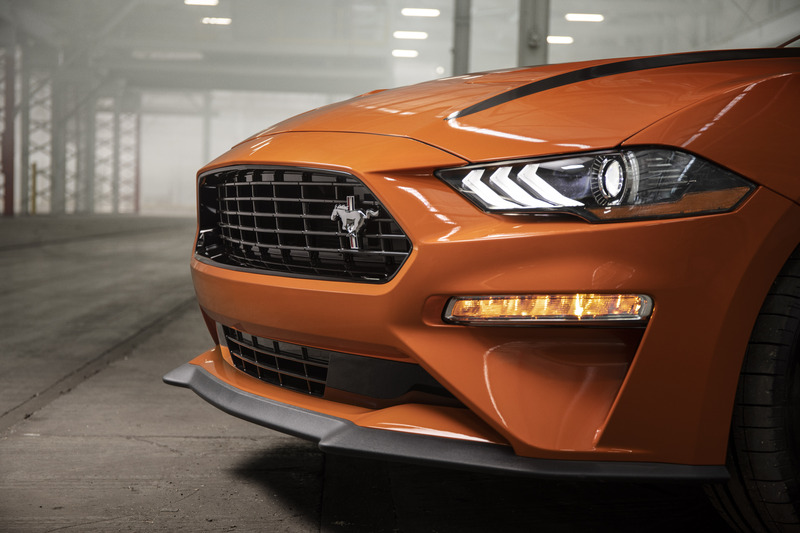 It’s the 2020 Ford Mustang High Performance Package. 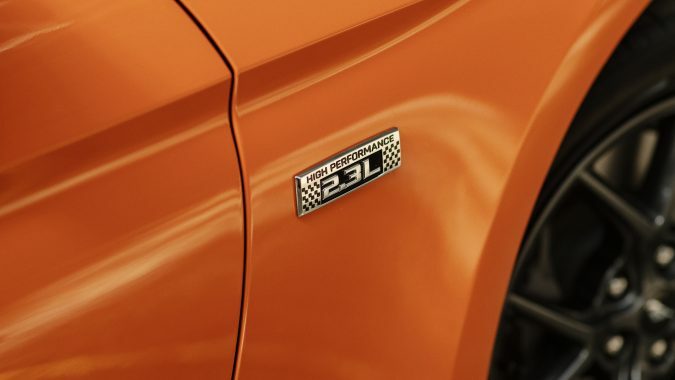 The MHPP starts with a 2.3L EcoBoost four. 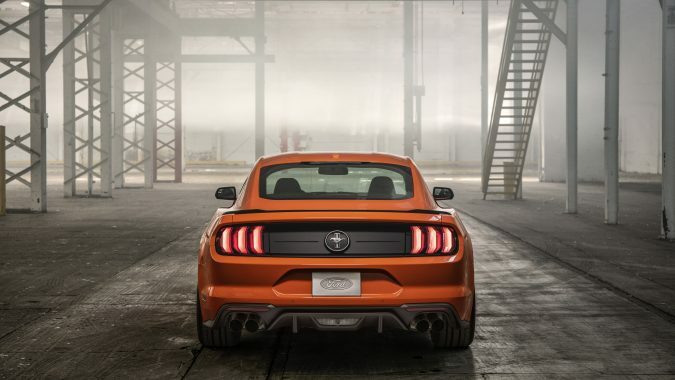 But it’s not quite the same engine as in the standard base Mustang. 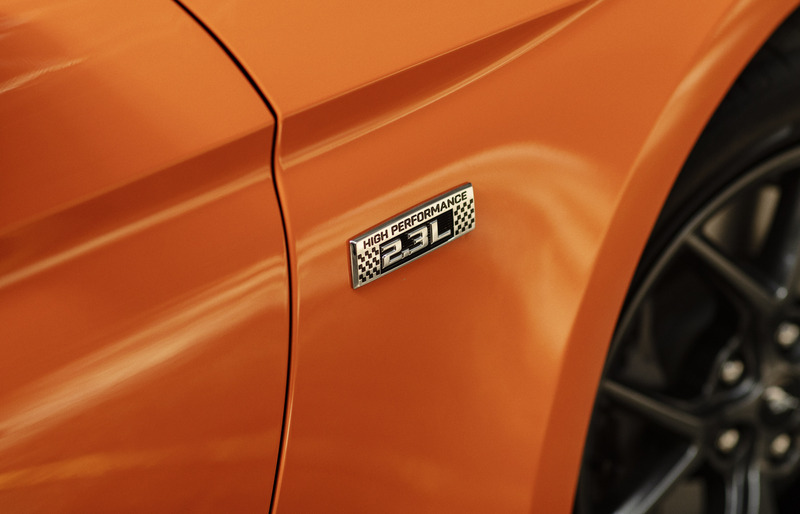 This one’s been worked over by Ford Performance to put out 330 hp. That’s 20 more than the standard EB. Torque is unchanged. So they did do it. And somehow managed to turn the idea into production approved in just 10 months. 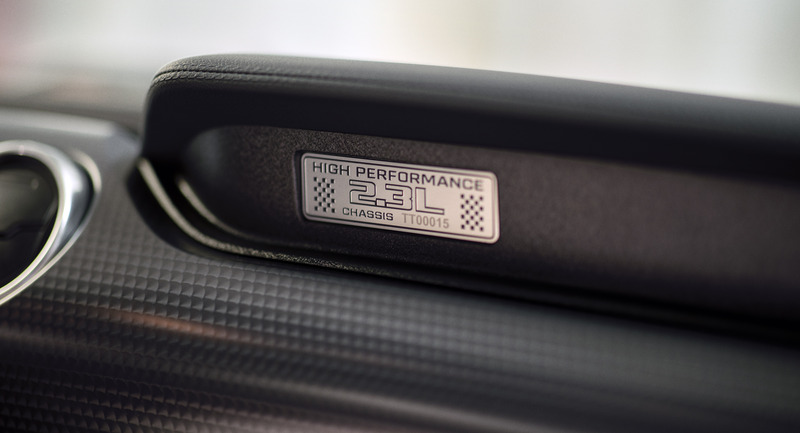 There’s more than just an engine in the MHPP. 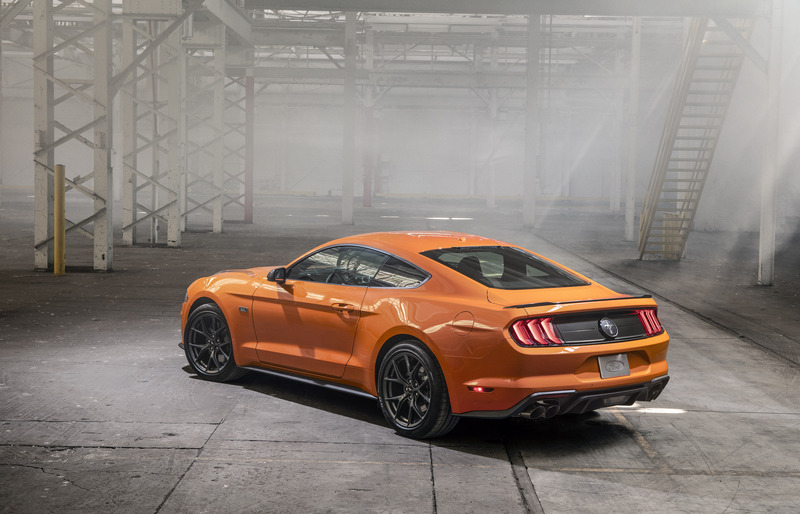 Ford is adding chassis upgrades too. 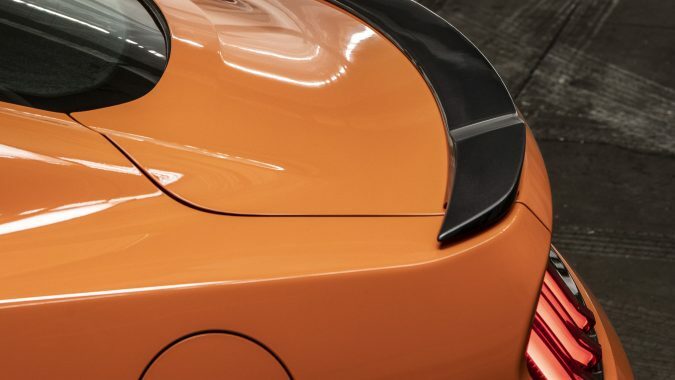 Like a strut tower brace to stiffen the chassis. And larger four-piston front brakes from the GT. 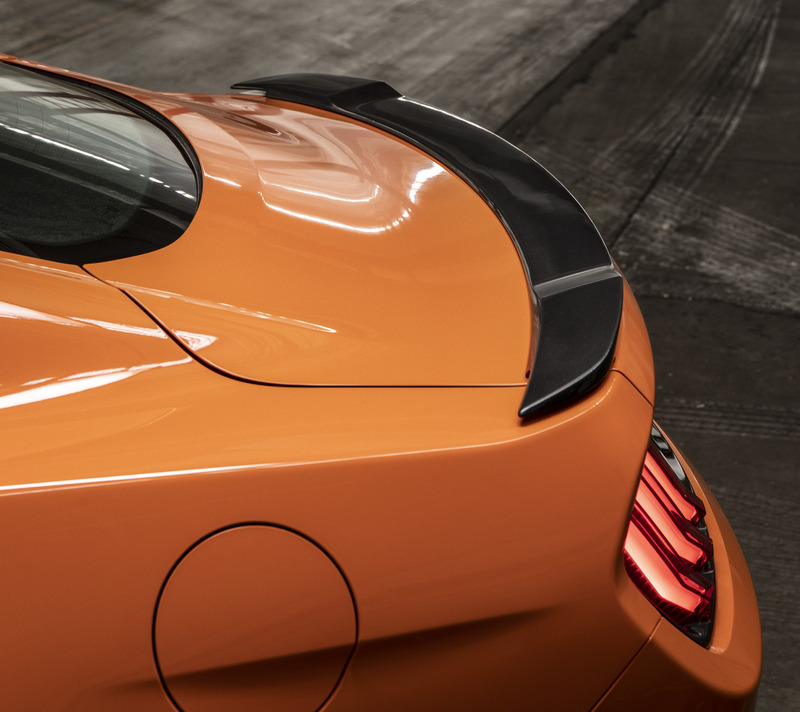 Along with thicker sway bars front and back. 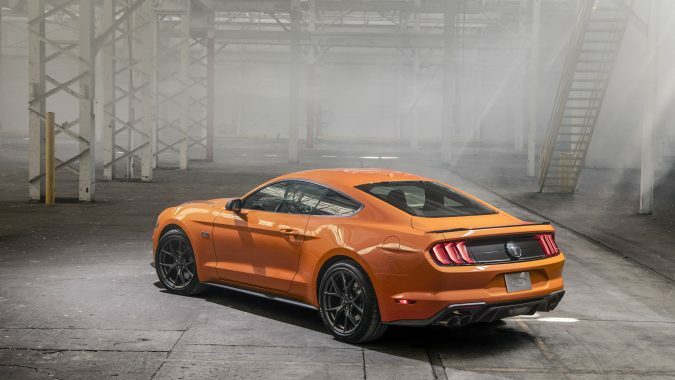 Ford says the steering has been recalibrated, along with the ABS and stability control. 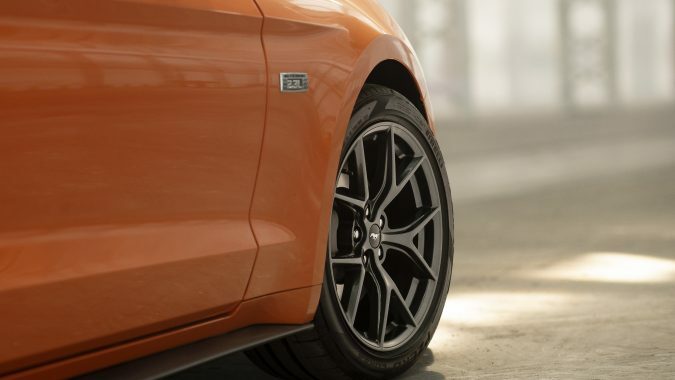 There’s a limited-slip rear axle and special 19×9-inch wheels with summer tires. 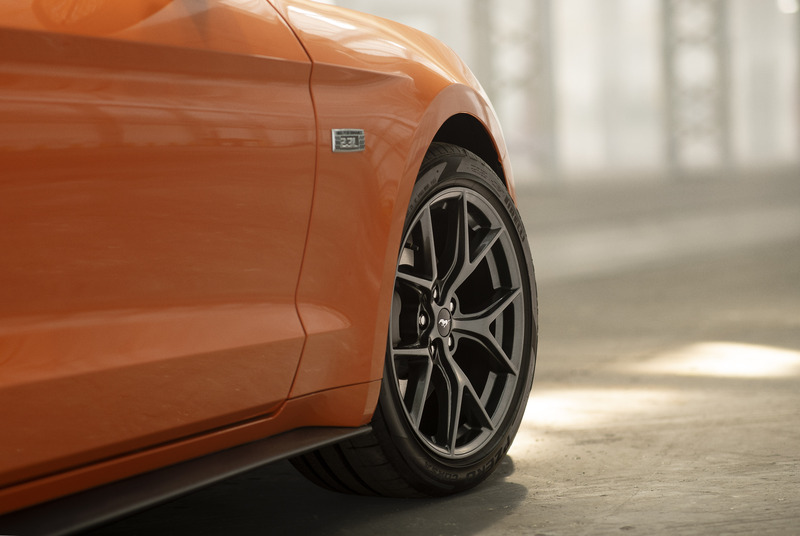 If you want even more grip, add the EcoBoost Handling Package and get a Torsen rear diff, wider wheels and stickier tires, and MagneRide magnetic dampers with a special calibration. 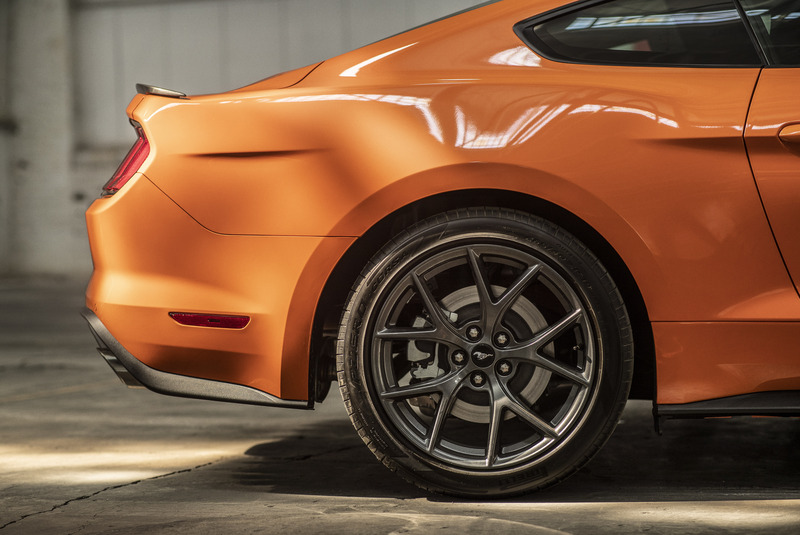 Showing off that you’re in the MHPP, the cars get a large black front splitter with belly pan that Ford says reduces lift and cools the brakes. 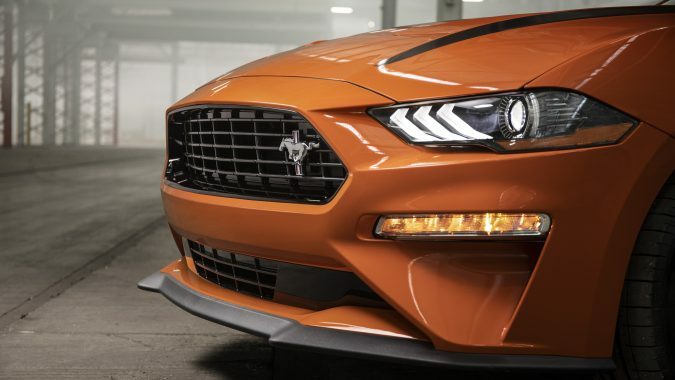 The grille is also blacked out, and it gets gray mirror caps plus a gray stripe on the hood. Inside, the instrument panel bezel is engine-turned aluminum with an oil pressure and boost gauge as well as a 55-year commemorative dash plaque. 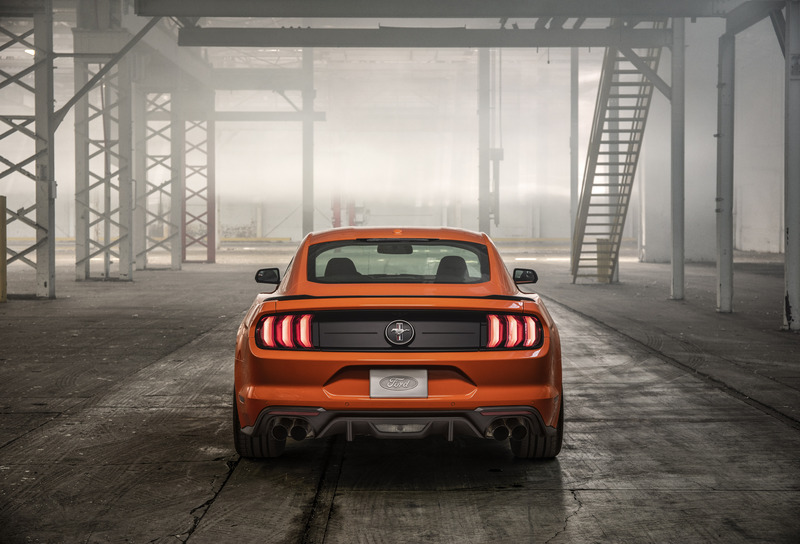 The 2020 Ford Mustang High Performance Package shows up at dealers this fall.